There are numerous benefits that come along with making school communities more active, and two of those have to do with improvements that are often seen in students; specifically, these are improvements in their academic performance and improvements in concentration and classroom behavior. These two benefits often go hand in hand and have been seen at schools across the country, including right here in RVA. 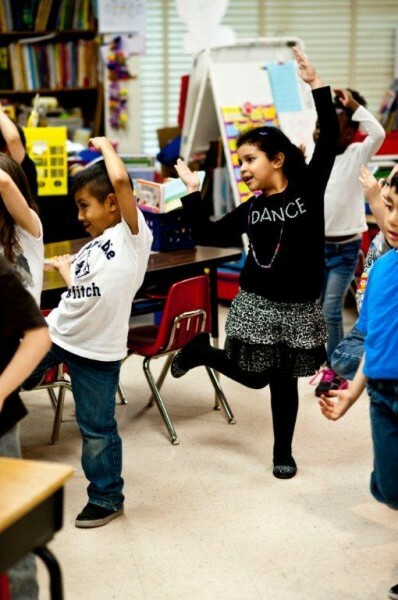 Many research studies have indicated that students need to be alert to better process information, and school systems in Nebraska have been at the forefront of the exercise movement, especially when it comes to innovative ways to implement physical and brain breaks into the classroom schedule throughout the school day. Elementary and middle schools have embraced the idea, which promote not only activity but also recall of knowledge and concepts. Crucially, teachers have bought in to the programs and have been trained in techniques to promote activity. This also helps remove potential roadblocks about activities taking away time from instruction. Here in Richmond, Bellwood Elementary has seen the benefits of increased physical activity in the classroom throughout the day. Faculty and staff have embraced the correlation between physical activity and success in school, and Bellwood students enjoy the classroom exercises, weekly run club, and learning garden at the school. Students also take advantage of two exercise bikes in classrooms to read and ride, and also sit on stability balls to work on posture and core muscles. This video about Bellwood’s programs is a great way to see all the programs in action and hear directly from students and the principal about how the whole school community has benefitted from the activity and wellness programs. Every school community is different but there is plenty of evidence about how schools can see improvements in academic performance and classroom behavior. There are numerous ways to implement these programs but the most important part is to get moving!